RightsCorp Will Get ISPs to Hijack And Fine Repeat Pirates. ISPs will now get the same treatment as pirates, via Rightscorp lawsuits. Modern internet service providers have had enough of pirates. Some of the top ones are now thoroughly discussing how they can use different methods to stop pirates and their activities. 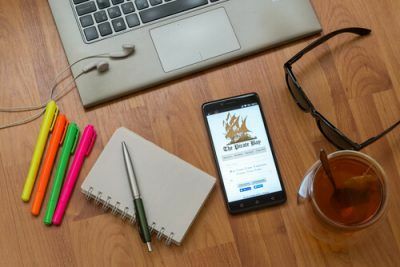 ISPs are seeking collaborative projects with Rightscorp, an anti-piracy entity, over how ISPs can hijack internet browsers of users who are deemed as pirates. Then, pirates will have to pay a fine to unlock their browsers. Rightscorp sees this as an opportunity for all internet service providers to bypass situations involving lawsuits and still make a healthy profit for the company. It should be clear to anyone now that along with internet service providers, rights group holders hate pirates. Rightscorp, an anti-piracy group, has made the most effort if we’re talking about measures that will stop pirates from doing their work. 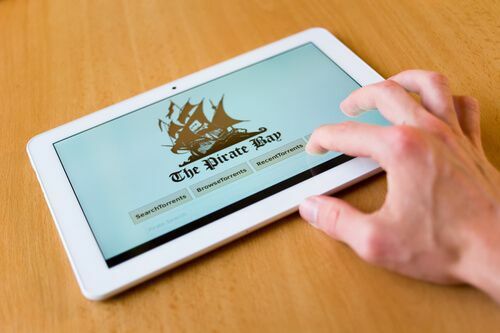 The group has studied the piracy situation for the past several years and has experienced moderate success in convincing fringe and small internet service providers in the United States of America to collaborate with them. Collaboration on what you may ask? Collaboration on a low-tier operation which will take care of copyright trolling problems. How does the whole operation work? The basic principle behind the copyright troll operation is simple. Rightscorp will help internet service providers to monitor all BitTorrent networks. It will then capture the relevant IP address of users who it considers as copyright infringers. Then Rightscorp will send DMCA notices to the internet service providers of those “pirates”. Rightscorp is also banking on internet service providers to forward the sent DMCA notices to their specific customers. Moreover, Rightscorp also wants these internet service providers to send an attached fine demand which will act as a cash settlement for both parties. How Much Will Pirates Have To Pay? The anti-piracy outfit will go after ISPs for being lazy to go after pirates. Right now, media reports have published that Rightscorp will force internet service providers to demand for small amounts. More specifically, in the range of $20 to $30 per fine. Of course, things change quickly in the online world and we can’t say for certain if Rightscorp will increase the fine amount. Bigger internet service providers are not convinced that they would like to send their customers fine attachments. Maybe they respect their customers or they fear that their customers will move to the other internet service provider that doesn’t send out fine slips, is a moot point. This deprives the likes of Rightscorp and its clients like BMG of many opportunities to make a lot of money. There are probably millions of pirates in the USA and a $10 fine would mean $10 million of generated revenue for entities such as BMG and Rightscorp. So, it makes sense why Rightscorp, an anti-piracy outfit, wants to rectify the situation and get bigger internet service providers on board. The ability to force customers to pay the fine. This leads to further problems. First, Rightscorp gets no money if the user refuses to pay. And the company can’t do anything about it because there is no legal precedent for it. Moreover, if the customer doesn’t pay it shows a lack of respect for Rightscorp. And if there is one thing a company desperately tries to hang on it in every situation, it’s its public image. Customers not paying the fine is bad for Rightscorp public image. And that’s why Rightscorp is trying harder than ever to convince internet service providers to help them and force their users to pay the fine. How Will Such An Arrangement Work? Because back in 2014, Rightscorp gave a little taste on how it would achieve such a thing. 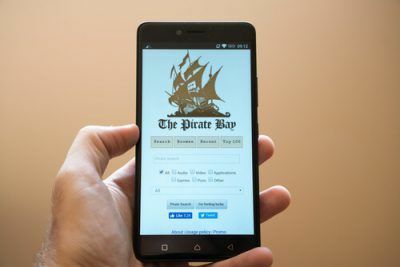 Basically, the firm will make it its goal to force internet service providers to show a redirect page to pirates. The redirect page will not go away from the pirate subscribers screen unless and until they paid the fine. Back then, the company made it clear what it wanted to achieve with such a scheme. The company said that what it really wanted to do was to move away from the termination of user connections. Instead, the company wanted to move towards what it called a hard redirect. The company said that it wanted to emulate when people went into a hotel and had to input their room number. Similarly, users will have to first pay the fine to get past the blocked browser and then into the world of the internet. To our knowledge, Rightscorp hasn’t had much success. Three years have passed since Rightscorp made that “hotel check in check out” statement. Since then, the organization has raised the copyright infringement and its solution to it on many forums. But it hasn’t had any concrete feedback. Rightscorp has not seen any solid development on the issue. Now, the situation is starting to change. More and more companies have had enough of pirates because they rob them off millions of dollars. And some fresh evidence indicated there is a new movement rising. 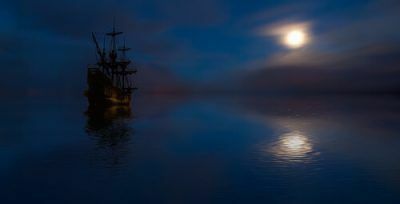 Only this time, the movement could actually cause trouble for pirates. That is if you believe everything Rightscorp puts up in the media. A couple of days ago RightsCorp made some significant announcements at its shareholder meeting. The company said that it has come up with a new program called an ISP Good Corporate Citizenship Program. The company feels that this program will drive up revenue streams and is associated with the company’s primary and major revenue model. Moreover, the company said, the program is Rightscorp’s best attempt to gain more attention from concerned parties. Along with that, RightsCorp hopes, it will eventually force internet service providers around the country into a behavior shift. What is that behavior shift? Basically, Rightscorp wants internet service providers to embrace the company’s suggestions regarding measures against piracy. Those who will comply will be considered as DMCA-compliant. What’s The RightsCorp New Program About? ISPs will have to pay a fine if they don’t catch pirates. The new program, as mentioned before, is simple. Rightscorp will ask internet service providers to forward the company’s DMCA notices to their customers. It also wants them to reference the copyright infringement in the same notice along with the official settlement demand/offer. The company said that it aims to request internet service providers to take strict actions against users who are repeat offenders. The above-mentioned action could come in the form of suspensions or even a simple redirect screen. What Will This Redirect Screen Do? One, is that it will guide the user (or pirate in Rightscorp terms) to the company’s payment screen. Two, the redirect screen will limit everything except for bare essential internet access for the infringer. What’s Different From Before Then? If you have followed Rightscorp activities from the past three years or so, you would have noticed that this is almost exactly what the company demanded a few years ago. At first sight, it may look like that Rightscorp has the same wish list as it had three years ago, but there are definite changes. Those changes come in the form of a vastly different legal landscape. In other words, the legal landscape in the country has changed a fair amount in the past several years. The most important development as far as the legal landscape is concerned is the case between BMG and Cox Communications. In that case, BMG sued the internet service provider for not taking appropriate measures to tackle repeat copyright infringers. Rightscorp successfully provided a lot of evidence which the court used against Cox Communications. The court held Cox Communications liable for many third-party infringement incidents. It also ordered Cox Communications to pay Rightscorp damages worth $25 million. Moreover, Cox Communications also had to pay an additional $8 million in the ever-present legal fees. By constantly giving the impression and suggesting that if Cox Communications had taken appropriate action against pirates, it would not have had to deal with the legal case. But what kind of “appropriate action” are we talking about here? According to Rightscorp, Cox Communications should have prevented its pirate subscribers by sending them Rightscorp fine demands or should have disconnected their internet access. If Cox Communication had done that, according to Rightscorp, it would not have ended up in the court facing charges. Cox Communication took the rougher route and hence ended up getting the shorter end of the stick. The ruling against Cox Communications gave BMG a huge win. Rightscorp also took the decision as a potentially powerful court ruling against pirates. Now Rightscorp could take advantage of the situation and seek cooperation from more internet service providers. Before these same internet service providers would not have cooperated with Rightscorp, but now they might. The Rightscorp offer will look enticing for especially those internet service providers who don’t want to throw themselves in a legal hellhole. But what about other internet service providers? Are they now interested in what Rightscorp has to say? Or is the situation fundamentally the same? Again, according to Rightscorp, the situation has definitely changed. It has changed because Rightscorp has secured preliminary negotiations with some big internet service providers and proceedings are underway. The company recently said that they were now beginning to have some early but very comprehensive discussions with some of the top internet service providers in the country. Rightscorp wants these top internet service providers to first create and then implement a new program. A new program which other internet service providers can also follow in the near future. Rightscorp representatives aid that they had every reason to believe that the legal case they referred to definitely played a role in changing ISPs thinking process. But Who Are Those Top Internet Service Providers? Rightscorp has not identified the top internet service providers it talked about in the meeting. Rightscorp predicts that if it manages to confirm the cooperation from these internet service providers then things could change quickly. The anti-piracy outfit will bring out a cultural shift which will benefit the company and other rights groups. If top internet service providers agree to Rightscorp plans then the company could significantly increase the total number of subscribers who paid the company’s cash demands. The company will try its best to make sure pirates don’t see the light of day ever again. Unless of course, they pay the fine first. There is no doubt about the fact that Rightscorp has other solutions to its problems as well. Right now, the company is seeking cooperation from some of the top internet service providers. But if they don’t cooperate then it has another slightly more direct solution as well. Rights Groups feels that this “other solution” will enable internet service providers, who feel undecided about showing users a redirect screen, some food for thought. Rightscorp said that its preferred way of working with internet service providers was the new redirect page program. Those internet service providers who did not comply with the new program will actively become a defendant in a new litigation process. These internet service providers will also face more potential liability cases. And might have to pay an even larger sum of money in the form statutory damages. In April of this year, the RIAA (Recording Industry Association of America) sued an internet service provider by the name of Grande Communications. Why did it do so? Because Grande Communications did not disconnect repeat pirates. And again, we see that Rightscorp played a huge role in the case. It provided all the infringement data related to the infringed labels. And it did so by asking for a considerable sum of money. What About Internet Service Providers In The USA? How will top internet service providers handle this Rightscorp onslaught? At some point, they will have to cave into the pressure and comply. Especially if they don’t want Rightscorp to stay true to its word. Regardless, Rightscorp is at an all time high as far as confidence goes. And it doesn’t look like it wants to stop going after internet service providers for not punishing copyright infringers.